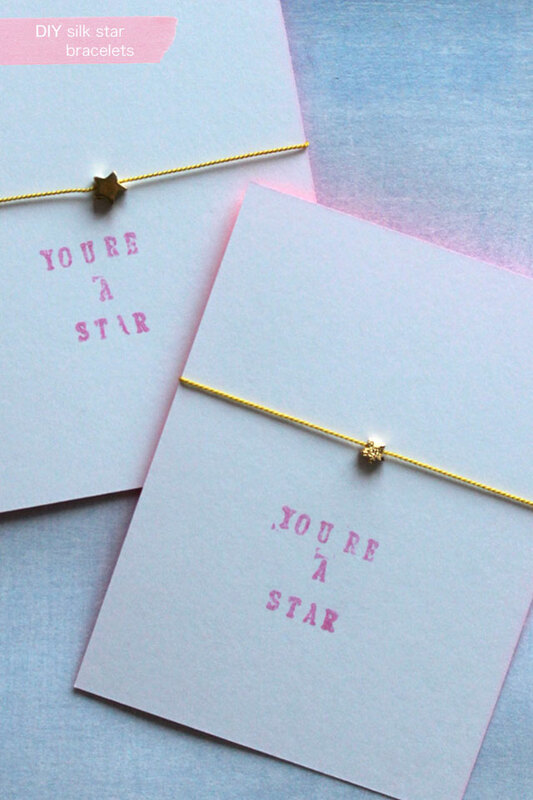 In keeping with July's theme of simplicity here is a really simple silk cord and gold star bracelet. I have to confess this wasn't my own idea, I was in the Bead Shop talking to the (only helpful) lady behind the counter and she told me how to make, and they are too good not to share. 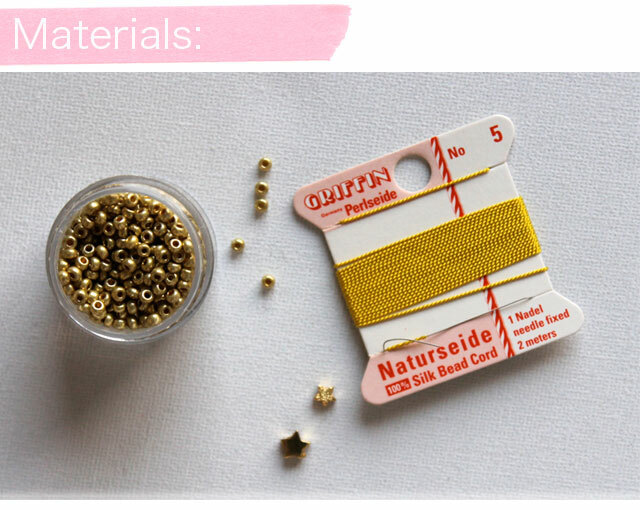 The focus of these is on quality materials; silk cord and gold filled stars plus a few seed beads. I love how easy these are to whizz up, I made mine on a Friday night (I'm wild, I know) but they were to show a friend on the Saturday hence the slightly blurred pics. All the steps are below. Step 3. Thread the end of your cord (the side next to the star) back through the seed beads. The cord should be threaded through in opposite directions making a circle shape. A little tip, if you are having trouble threading your cord through add a few drops of super glue to the end of your cord leave to dry and then cut at the end. Step 4. 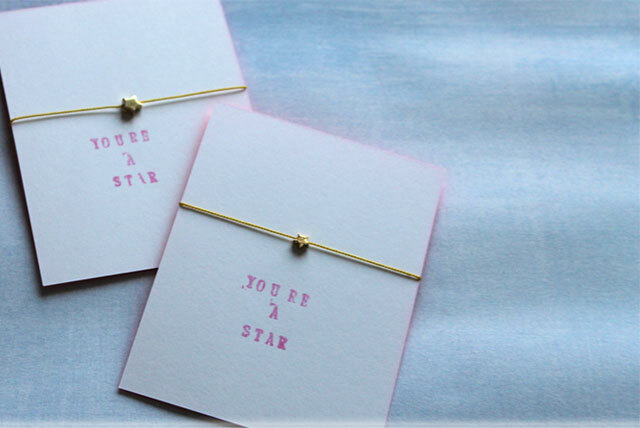 Carefully try your bracelet on to determine the size. When your bracelet is at the biggest it needs to be, add a seed bead to either end of your cord. 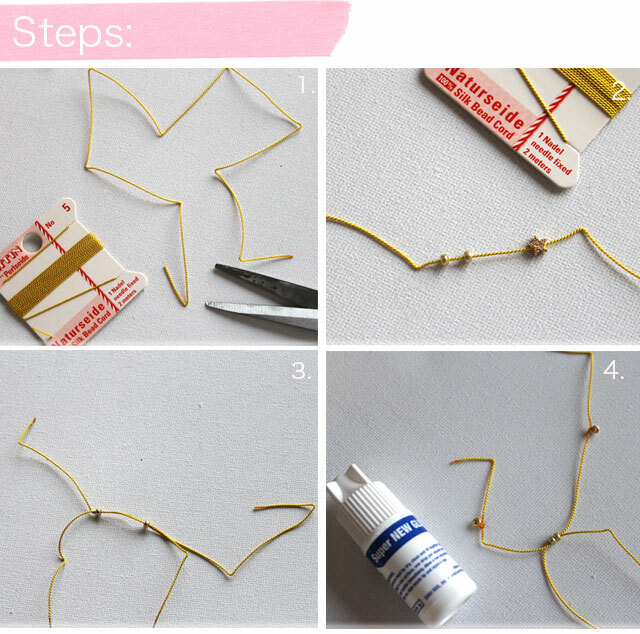 Tie the bead about 2.5cm from your two seed beads, add a dab of super glue to fix. Repeat on the other side. Cut off any extra length. Thats it.